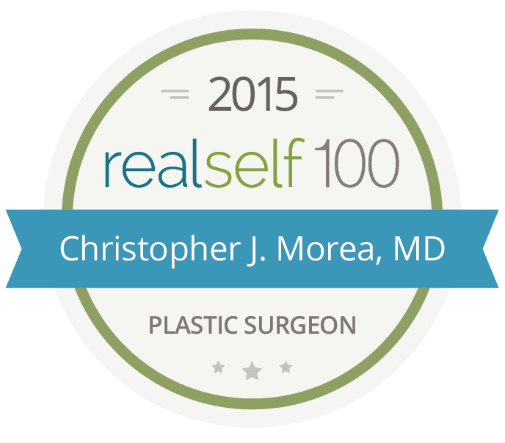 Dr. Morea is a member of the RealSelf online community, a group of physicians providing patients with first hand answers and information regarding over 250 cosmetic treatments. He was awarded RealSelf Top Doctor (TOP) status, an honor awarded to less than 10% of the RealSelf doctor community. This status is earned by achieving high patient satisfaction (as reported in RealSelf reviews) and receiving favorable feedback on expert answers. Read Dr. Morea’s answers to real patient questions here.